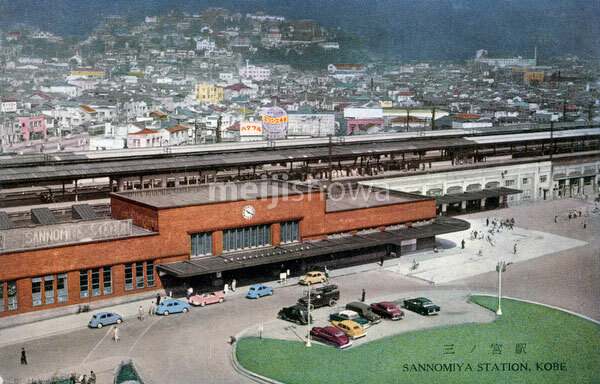 Sannomiya Station in Kobe, Hyogo Prefecture in the late 1950s. The railroad connection between Kobe and Osaka was opened in May 1874. This is the new Sannomiya Station opened on October 10, 1931. The old Sannomiya Station was reopened in 1934 as Motomachi Station.